Wayne Allen Cornish obituary. Carnes Funeral Home. On March 2, 2018, the world lost a wonderful man and a fantastic fisherman. 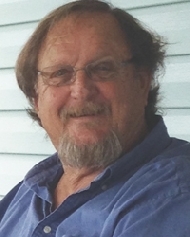 Wayne Allen Cornish, 69, passed suddenly at his home in Santa Fe, Texas. He is survived by his loving wife, Alice, his dogs, Candy, Raven, Rosie, and Sparky; sisters, Kitty Rogers of Clear Lake City, Teresa DePratter and husband Darrell of Friendswood, and brother, Eddie Cornish and wife Betty of Texas City. He is also survived by his mother-in-law, Marie Bollinger, brother-in-law, Chuck Bollinger and wife, Terri, and numerous nieces, nephews, cousins, and many beloved friends, including his fishing buddy, Harry Cannon. He was preceded in death by his parents, W.A. and Katherine Cornish of Texas City. Wayne proudly served his country in the U. S. Marine Corp including a tour in Viet Nam. He worked for Union Carbide in Texas City for 30 years. He thoroughly enjoyed his retirement, spending time fishing, hunting and enjoying his family and friends. He was very proud of his new Boston Whaler and the great big fish he caught. Wayne had a wonderful dry wit and was loved by all. He will be greatly missed. The family would like to thank the kindness and caring of those good Samaritans who recognized a need and took action. Friends and family will be received at a visitation for Wayne on Thursday, March 8th, 2018 beginning at 12:00pm at Carnes Funeral Home located at 3100 Gulf Freeway, Texas City, TX 77591. A Celebration of Life funeral service will follow at the funeral home beginning at 1:00pm.